Annette Obrestad, born on September 18th, 1988 is a Norwegian professional poker player. She is known as the youngest person to have ever won a World Series of Poker bracelet which occurred at the 2007 World Series of Poker Europe. She fondly adorns the username Annette_15 for playing poker online and built up her skill and reputation by playing online poker whilst still under age, starting at the young age of 15. At just 25 years of age, she is a feared and aggressive opponent and is set to become one of the most skilled and intimidating poker players in the poker community. 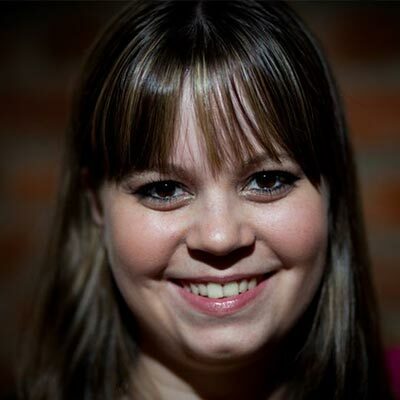 Born in Sandnes, Norway, Annette is one of the most exciting female talents in poker. Annette began playing poker at just 15 years of age, taking on veteran players and sending them home out of pocket and humiliated. Her starting age is the reason behind her nickname and online screen name Annette_15. Her experience began in the online world of poker, where whilst still under age, she climbed the ranks from beginner to professional in the space of a few short years, participating in some of the online communities hottest events. Due to being under age, she couldn’t play in live casinos and so spent most of her time at online poker site Pokerstars, finishing in either first or second place in over 20 tournaments in the space of just a year. Using the attention that she had clearly earned regardless of her young age and experience, she continued to win whilst her reputation went from strength to strength. She further claims to have never even made a deposit on any online poker website, implying that all of her online winnings have come from an initial signup bonus and has grown exponentially since she was 15. Turning a profit from the usual online poker welcome bonus is a hard accomplishment for any professional poker player to make, and considering her young age, this speaks volumes for Annette’s innate ability to turn a profit. Moving on to live action events was something that Annette couldn’t wait for, and as soon as she turned 18 she started to enter live poker tournaments, using the skills she had learned online. Soon after her 18th birthday, she took part in the Aruba Classic Event and finished in a respectable 37th place out of several hundred contestants. Her followers put this position down to her in-experience in real-time poker events as she had been so well versed in online game play up to this point. Still at the tender young age of 18, Annette went on to win the Main Event of the World Series of Poker Europe, beating over 300 players and taking over $2 million for her victory. 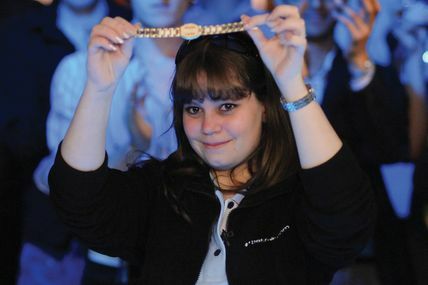 This victory launched her onto the global poker scene and broke the record for the youngest player to have ever won a championship bracelet at a major event, as well as one of the biggest wins for such a young player, not to mention she was female! This win caught the attention of fellow female poker player Annie Duke, who stated that Annette may become one of the all time greatest poker players in history. Her sheer intimidating style of play has led many of her opponents to walk away from the table visibly shaken from the experience. She has a cold, professional method that seems to hide all of her thoughts and many professional players have even gone as far as to call Annette unreadable during the game. She retains her composure, even when risking and losing large pots and displays no emotion which is both unsettling and unnerving to her opponents. When considering that most players across the globe have spent years attempting to perfect this style of poker face, the fact that Annette can perform this task with seemingly no effort at all, suggests that she is a natural poker player. When not pursuing her career in poker, Obrestad can be seen spending time with her friends and family, particularly her boyfriend of several years. Her family say that they couldn’t be prouder of her accomplishments and frequently comment on where she may be in 10 years time if she has already achieved so much. Annette, revealed in a recent magazine interview, that she is also still a fan of online gaming away from gambling with Role Playing Games (RPGs) and Fantasy and Adventure genres. In April 2012, Annette was unveiled as the newest sponsored player of billion-dollar companies Poker Royalty and Lock Poker, receiving huge financial support for her poker activities and increasing volumes of publicity through the press. Annette has also been sponsored by Full Tilt Poker in the past and continues to play on a number of online poker sites. Using her intimidating playing style and seemingly flawless conduct, Annette seems destined to become one of the all time greats of professional poker. Watch out for upcoming events where Annette is due to participate and sure to provide an impressive and exciting performance. 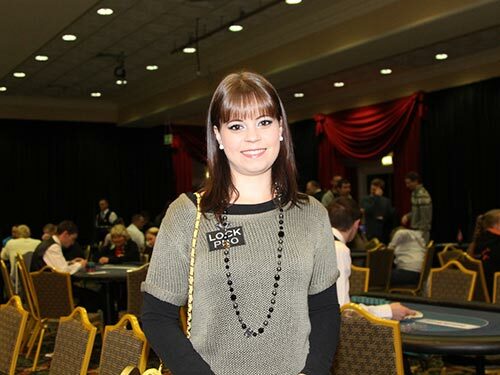 Want to Chat and Play Poker with Annette Obrestad?